Are you aware of the various stages we humans will experience during our life? 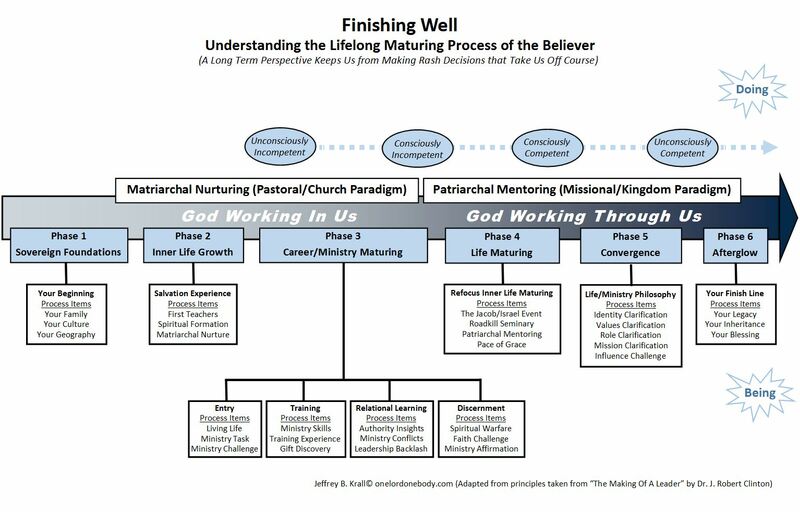 How well are you dealing with the “process items” you are facing in each phase in your life? Do you plan on finishing your life well or are you just trying to make it through today? Dr. J. Robert Clinton’s book “The Making of a Leader” has some tremendous insights on this subject. Also my books may help as well. Posted in Most Popular Articles and tagged Dr. J. Robert Clinton, Finishing Well, Inner Life, Jeff Krall, Leadership, Mid Life Crisis, Process Items, Roadkill Seminary, The Inner Journey, Working Together For Jesus on August 14, 2014 by Jeff Krall.